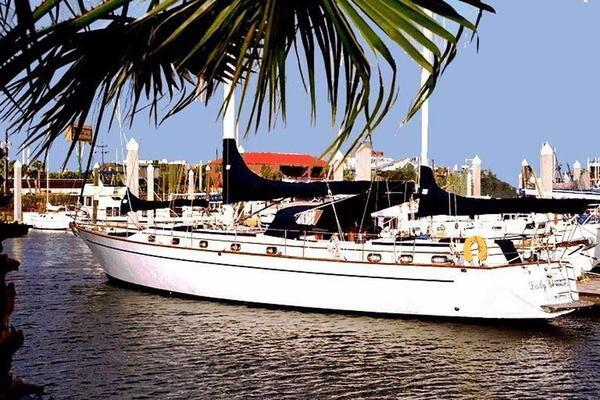 United Yacht Sales New Jersey would love to guide you through a personal showing of this 72' Abeking & Rasmussen Rhodes Cb / Ketch 1959. This yacht for sale is located in STURGEON BAY, Wisconsin and priced at $285,000. For a showing please contact us by filling out the form on this page and we will get back to you shortly! Built in 1959 by Abeking and Rasmussen in Germany "BARLOVENTO II" stands out! Her uncommon versatility and outstanding quality set her apart. 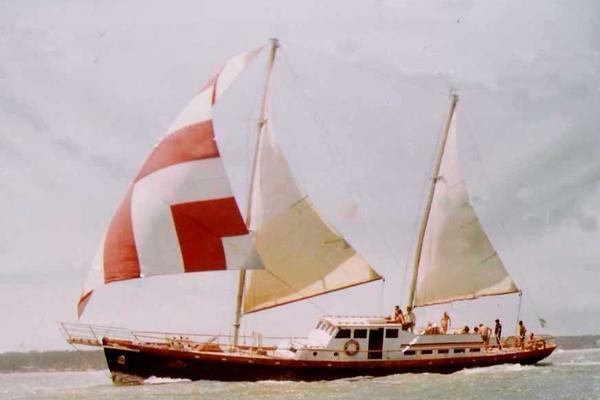 Designed by Phillip Rhodes for Pierre S. duPont with offshore sailing in mind she stormed toward the finish line in the 1960 Newport to Bermuda race under full main and staysail in winds up to 60 knots to take a respectable fourth place in the 22 boat A class. In 1964 she completed the race in a time of 103:51. Barlovento II also graces the cover of the well known book "A Berth to Bermuda" by Bill Robinson. In 1986 she underwent a complete restoration including new bottom plating, tanks replaced, engine and generator overhaul, new plumbing and wiring, new galley and all new rigging. Keeping with modern standards a bow thruster was added shortly after that. Today, a unique opportunity exists to take this rare diamond and restore her once again to her former glory. Her twin centerboard design enables both deepwater passage making and shallow water cruising with comfort and ease, her interior layout with accomodations for nine provides a spacious escape from the elements. Currently dry stored in Sturgeon Bay Wisconsin she is immediately available for inspection. 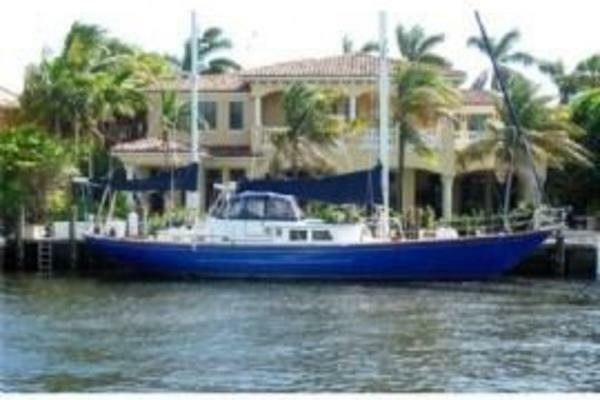 With world class tradesmen and competitively priced shipyards nearby she is well located to be restored and personalized once again by her next owner. Built by Abeking & Rasmussen in 1959. Still one of the finest Yachtbuilders in the world today!A great performing boat built to go anywhere! CONSTRUCTION: Welded steel plating (1/4" topsides plating to 3/8" bottom plating with 22" on center framing). Twin fore and aft centerboards. Teak decking over steel deck plating. House construction is teak. PILOTHOUSE: Spacious horseshoe shaped cockpit with wrap around seating, a large folding cockpit table and storage attached to the forward end of the helm station.